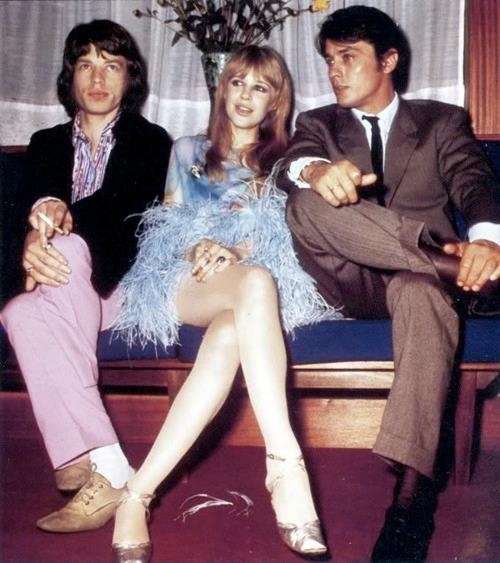 Alain Delon, Mick Jagger and Marianne Faithfull. Alain Delon, Mick Jagger and Marianne Faithfull.Undated/ Unknown photographer. I am not the author of this image. More on Facebok!